The Sun rose late and a little groggy above Whites bay campground today for the first day of the NZ Enduro. Organisers Sven and Anka Martin have spent their summer pulling together an event that will terrify and delight racers in equal measure. 140 riders came from 10 countries to race on the historic trails of the Marlbrough region. After rain two days ago, the trails were drying rapidly, but there was still a bit of moisture around to catch out the unwary. 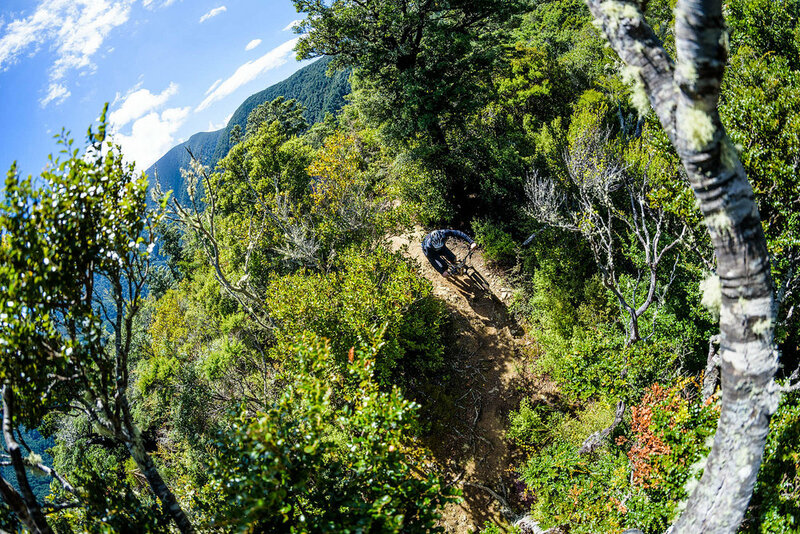 Stage one was down the 10 minute plus Whites Bay track, which starts out rooty and off camber before turning steeper and smoother later in the track. In the shade the tree roots kept hold of the moisture longer, catching out riders and doctors alike. Wife-beaters and skateshoes made the difference for George Kennington. 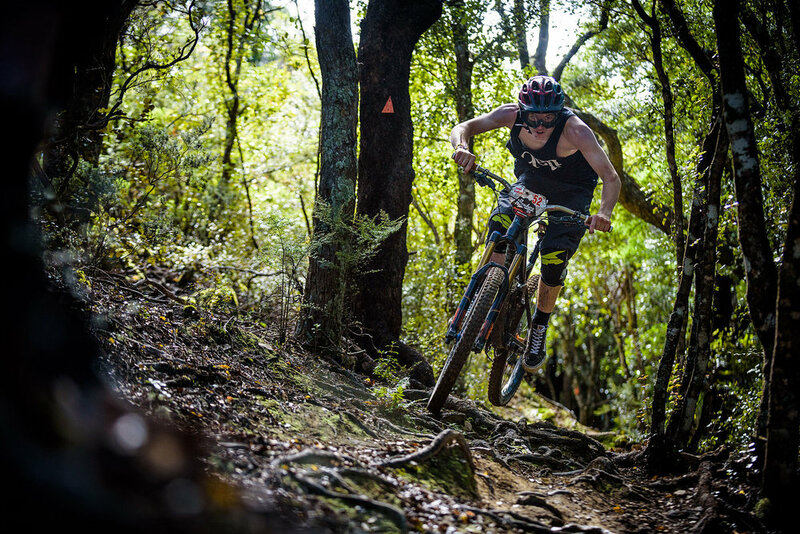 Rotorua reprobate Mat Hunt is racing on his hard tail. 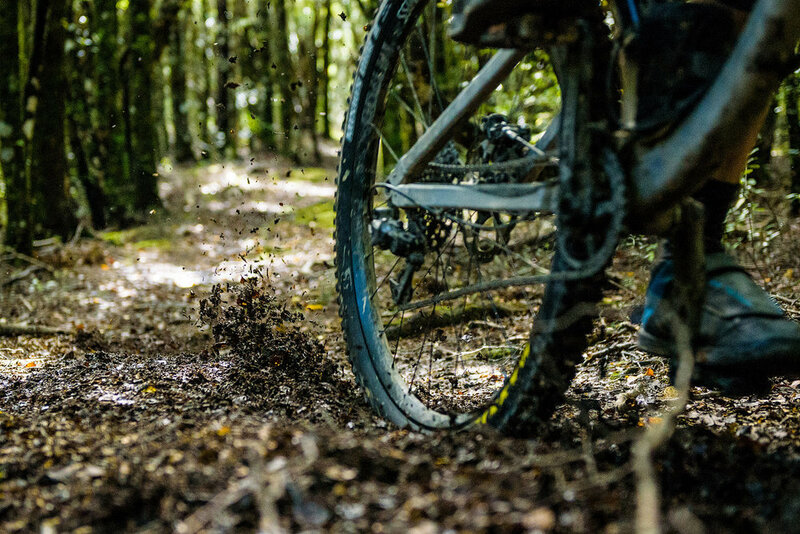 He found a twin in Odin woods from Christchurch whose racing on an identical bike. SRAM brought a big crew of journalists over to take part in the race. Keegan Wright blazed his way through todays stages to take a 7 second lead. Stage two was more man-made and had a clay surface instead of roots, being raced later in the day had allowed it to dry out more but it was still slick in places, Richie Goldsbury had no trouble sliding around on the slick surface. 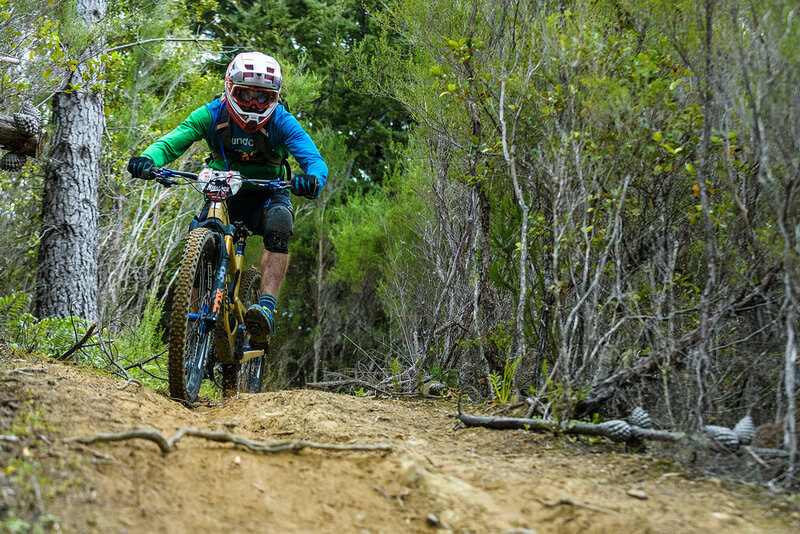 Conor Macfarlane made the last minute trip up from Queenstown to race. Known for his slopestyle and freeride ability, he's no slouch on a trail bike either. 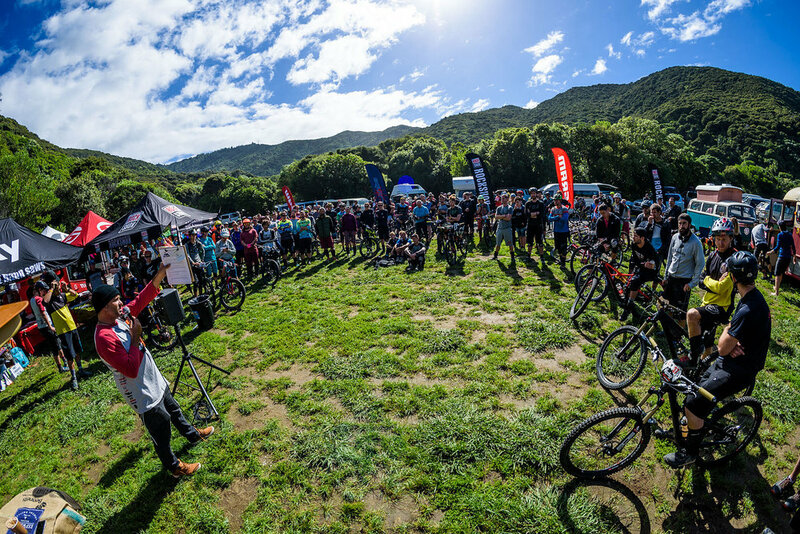 After two stages today it gets serious tomorrow, rather than a loop from base camp we're going point to point through the Marlborough sounds, 4 stages on old bridle paths promise fast riding with a few technical suprises to trip up tired racers and spectacular views over Nydia Bay and Pelorus sound.